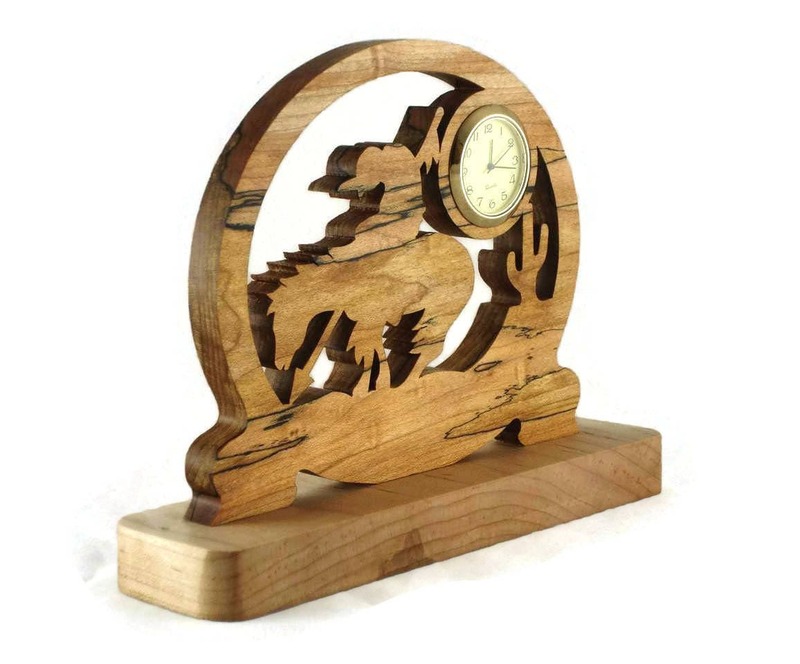 This end of trail desk clock was cut by hand (handmade) on a scroll saw from 1/2" Spalted Maple. 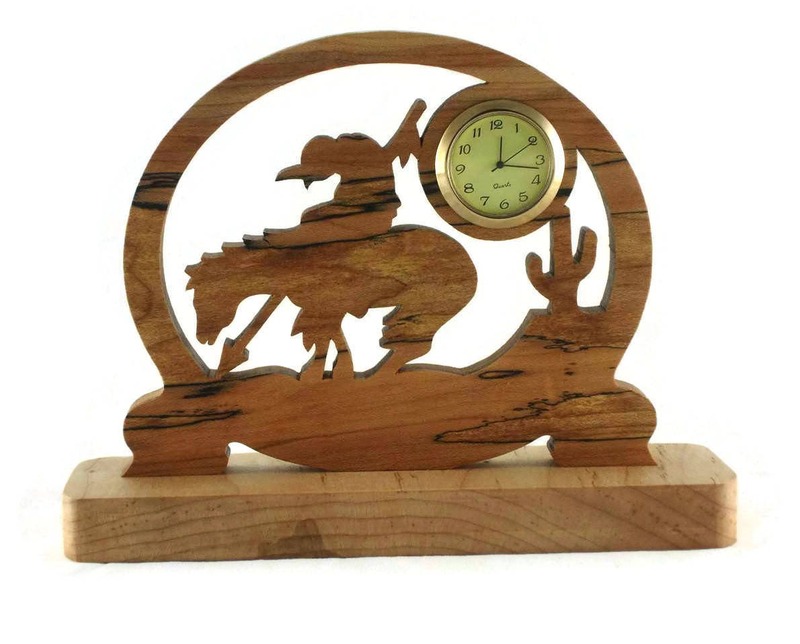 This wood clock features a Native American scene of a cowboy riding his horse and they reach the end of the trail. Also in the scene is a cactus in the background. 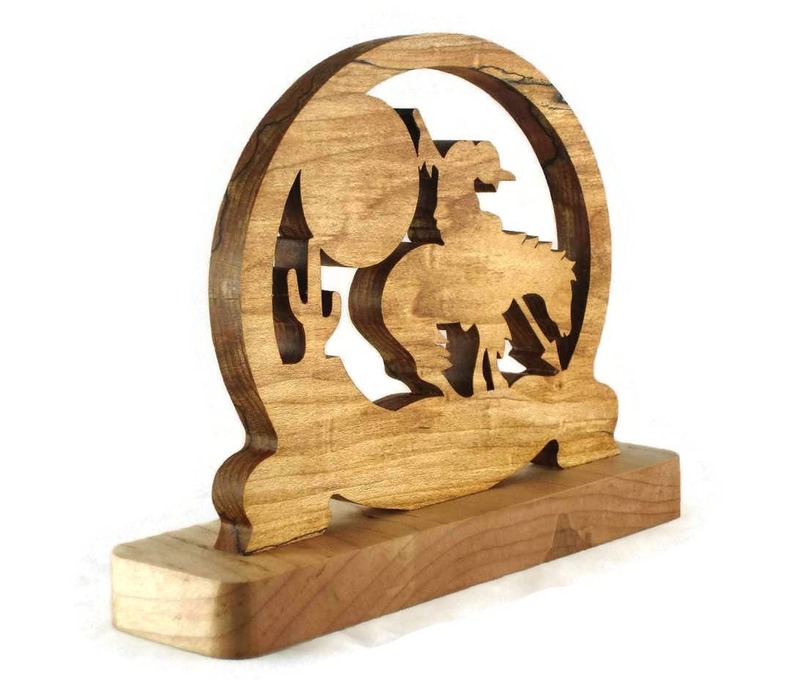 This was made from high quality 1/2" thick Spalted Maple wood and is mounted to a 3/4" thick hard maple base using countersunk screws to hold it steady for those unexpected bumps to your desk. 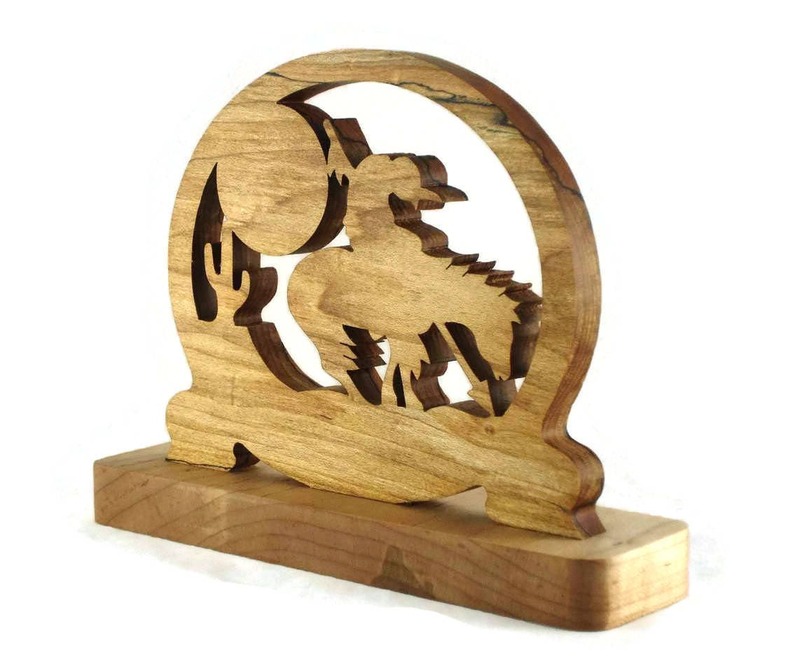 This has a all natural non-toxic homemade bees wax and mineral oil finish applied which brings out the natural beauty of the wood while giving is great protection from the elements. This finish also gives the wood a nice silky smooth feel to the touch. 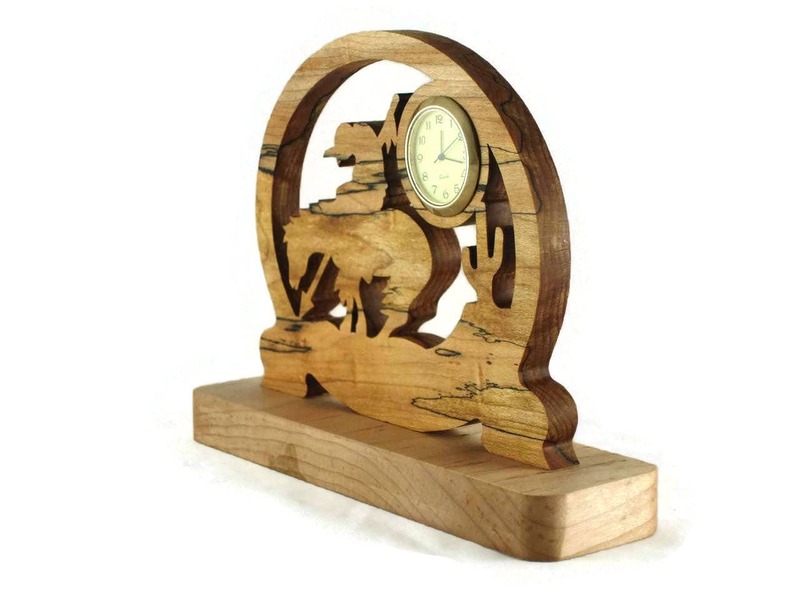 The 1-7/16" quartz clock insert features a ivory color face with black Arabic numbers, glass lens, a gold plated bezel / trim, and a stainless steel back plate / battery cover. 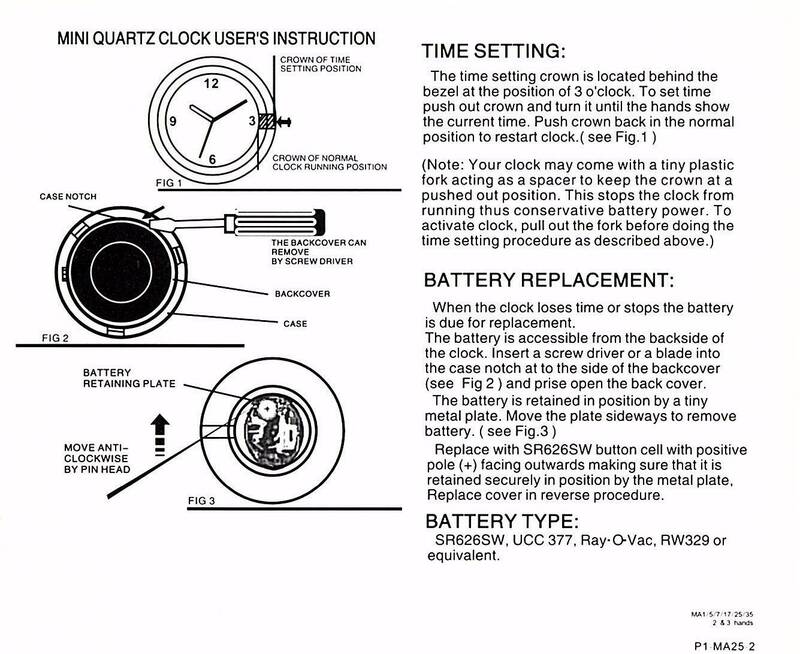 Battery is installed and ready for you to activate it.